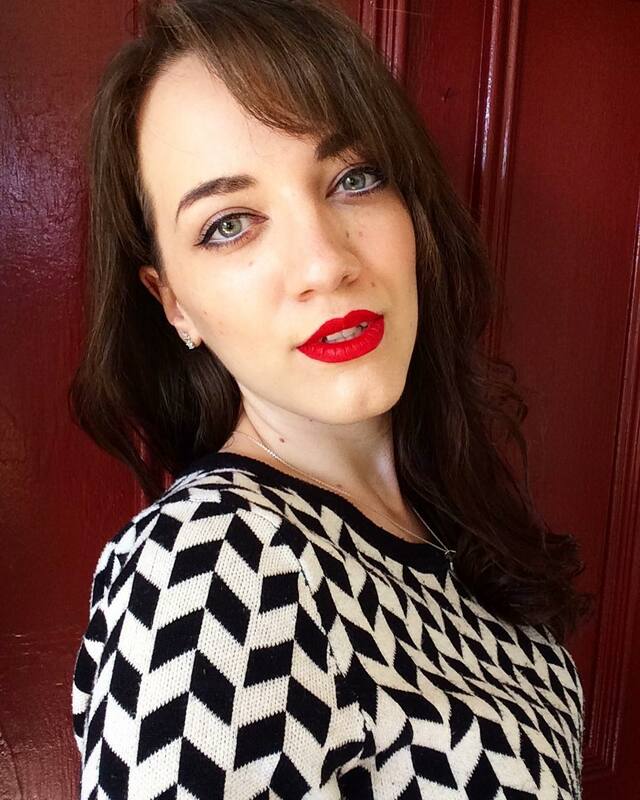 I’ve found it: Wonderland. 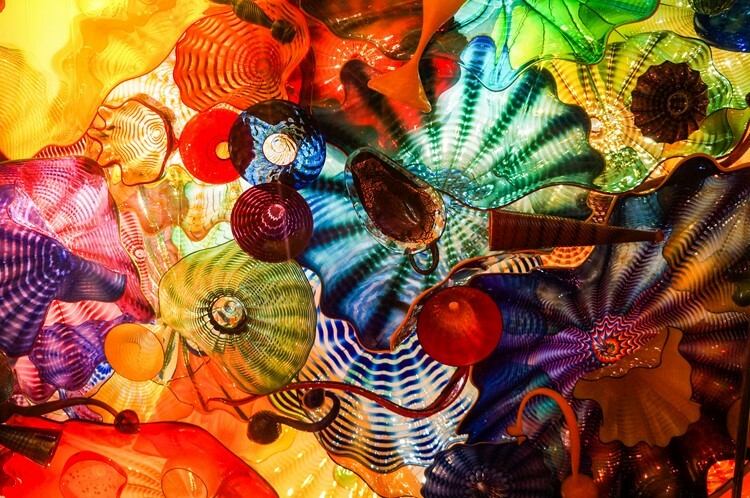 If Lewis Carroll could see the magic held in Chihuly Garden and Glass, he’d rewrite Alice in Wonderland and illustrate it with photos of Chihuly’s work. 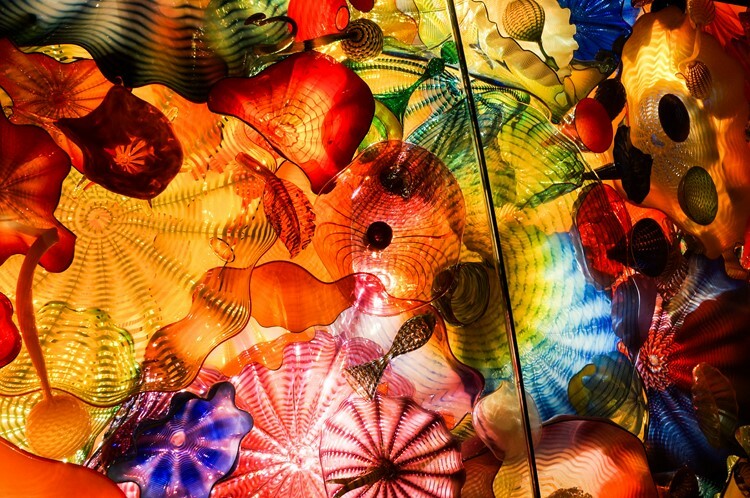 For years I’d been dying to visit this museum, and it far exceeded my high expectations. 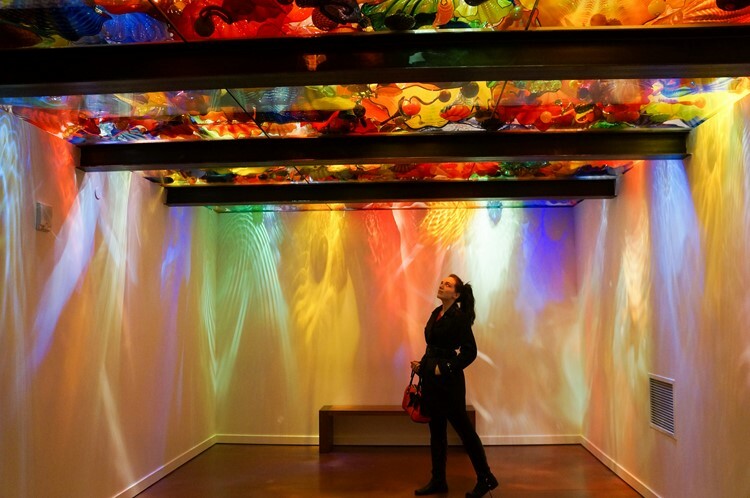 From the very first installation, every one of the thousands of pieces of glass in the exhibit is breathtaking. 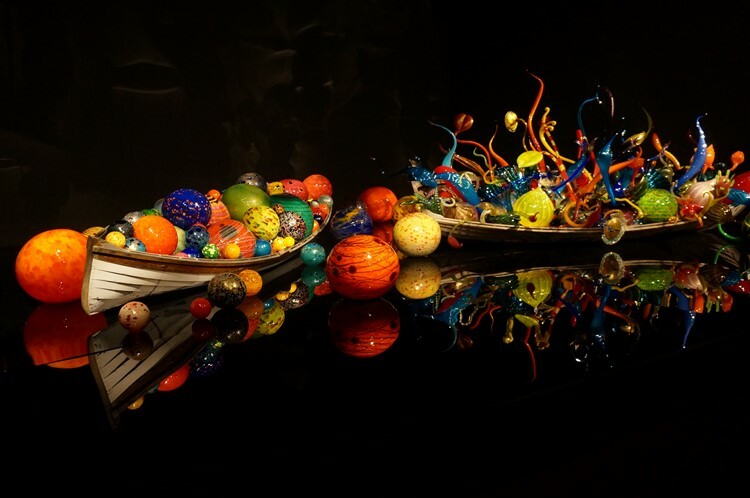 Each piece is beautiful, but installed together they are magnificent. 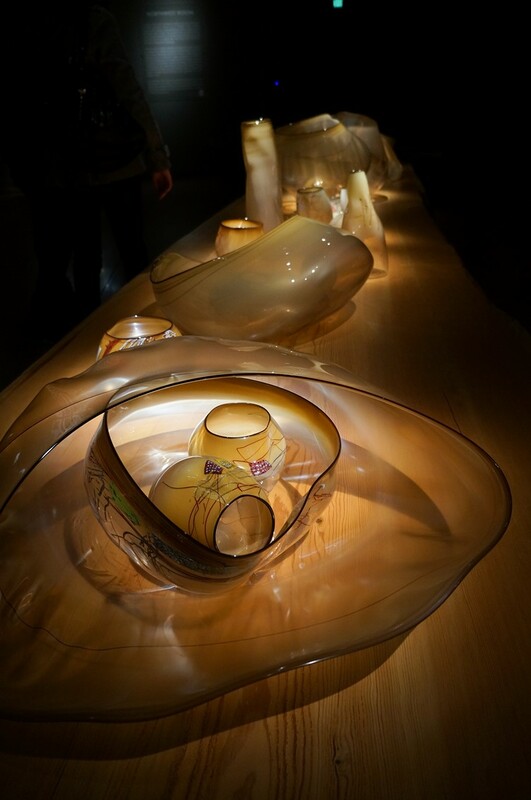 The sheer size of these pieces is amazing. 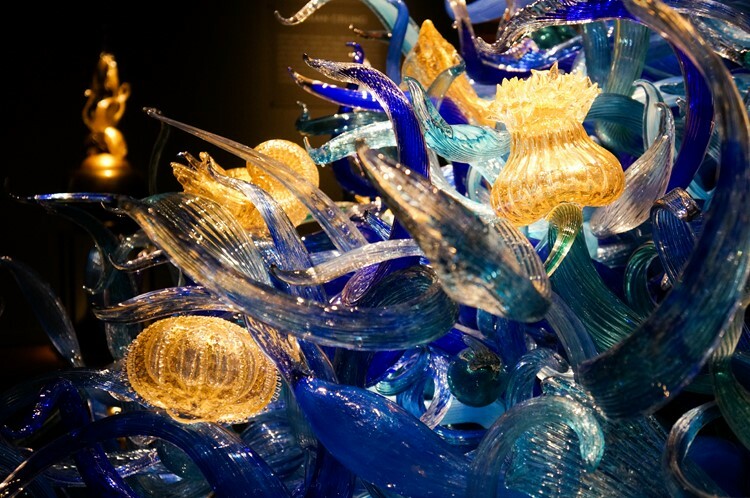 Looking at the piece above, it’s hard to believe that those gorgeous, crashing waves can be made of still, hand-blown glass. 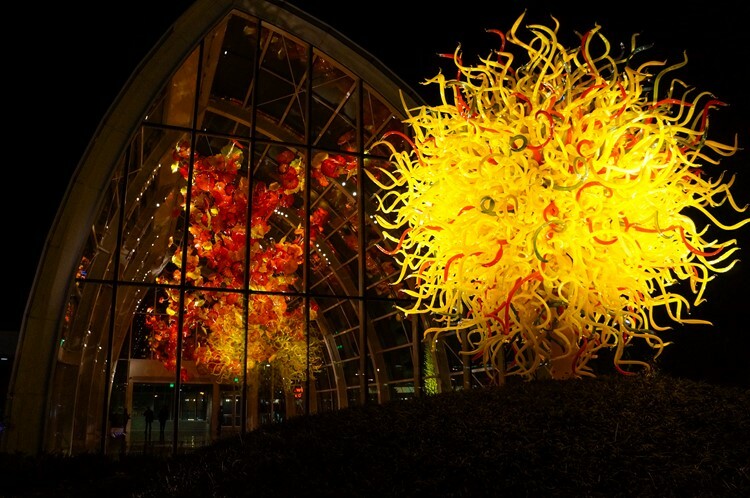 And these photographs don’t do it justice; you need to be in the same space as Chihuly’s work to truly appreciate its enormity and incredible beauty. 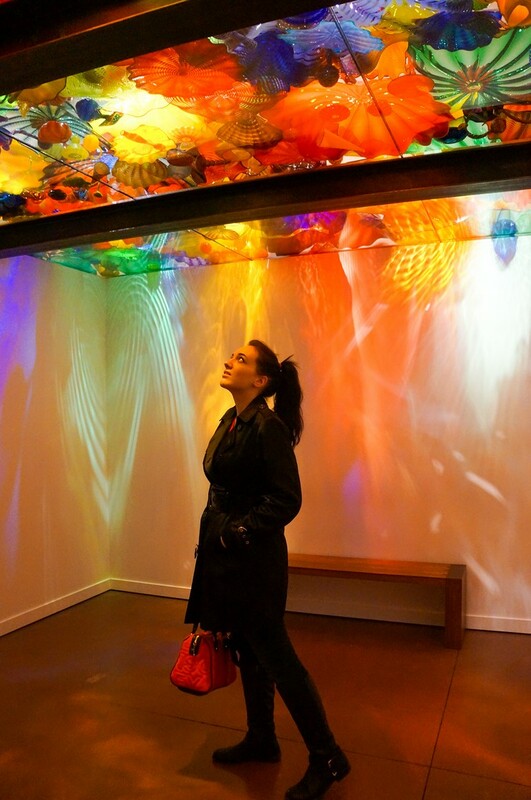 In the room below, visitors stand in what is effectively a larger-than-life kaleidoscope of an assortment of Chihuly’s pieces. 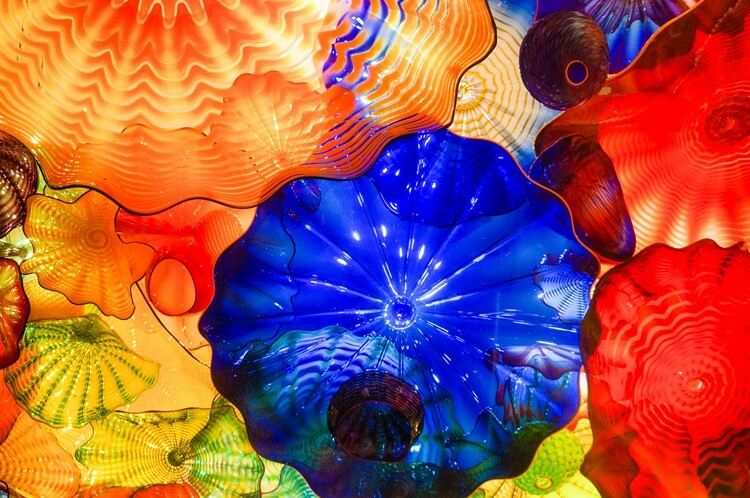 In the colourful ceiling you can find carefully crafted cherubs, impossibly-shaped bowls, and intricately patterned twists of glass. 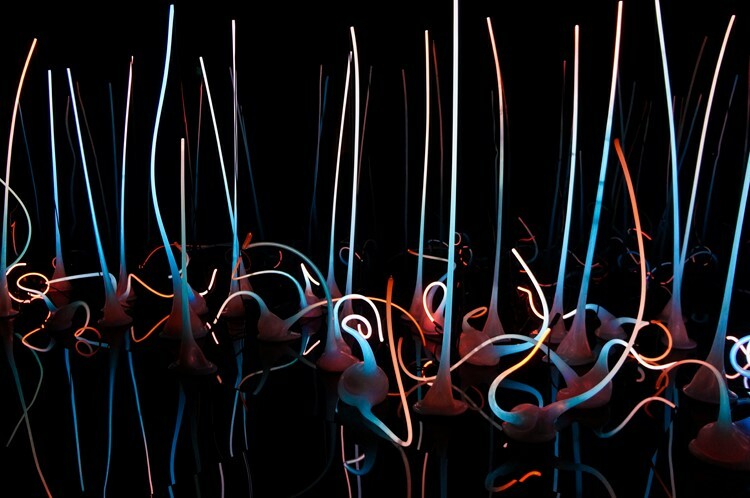 Moving through the exhibit, you are taken through a journey of Chihuly’s development as an artist. 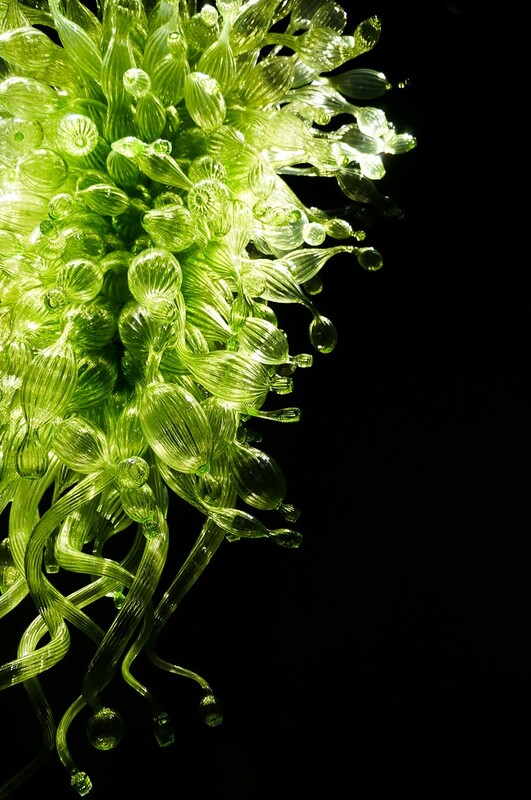 Here are three dramatically different examples of his work, all intriguing in different ways. 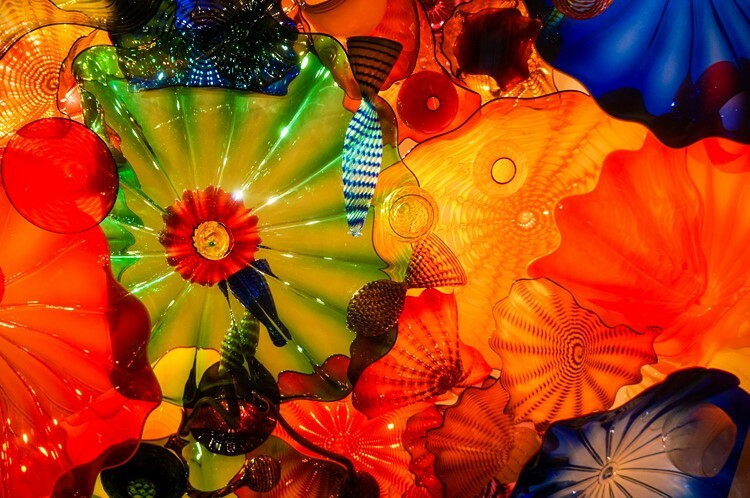 This amazing exhibit also has an outdoor garden featuring installations of grand glass compositions, located at the foot of Seattle’s iconic Space Needle. 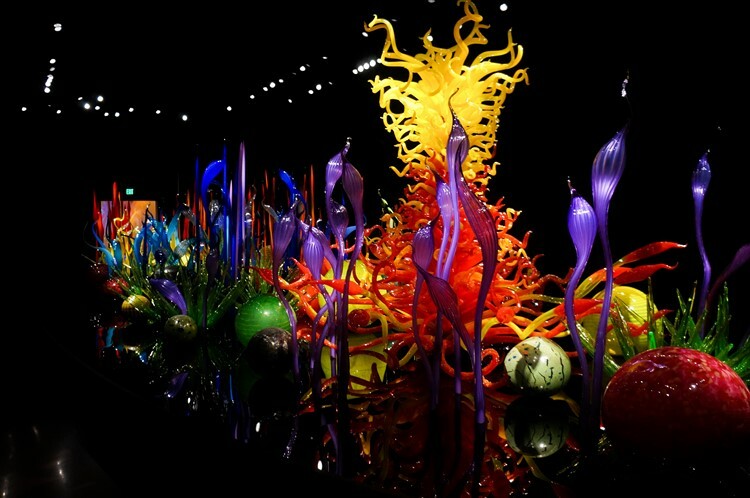 Dale Chihuly is an artistic genius. 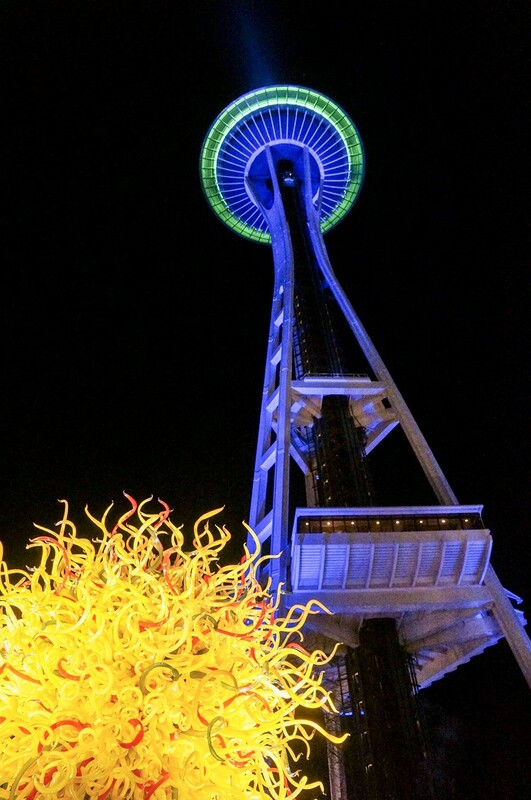 Next time you’re in Seattle, check out Chihuly Garden and Glass, you don’t want to miss this! 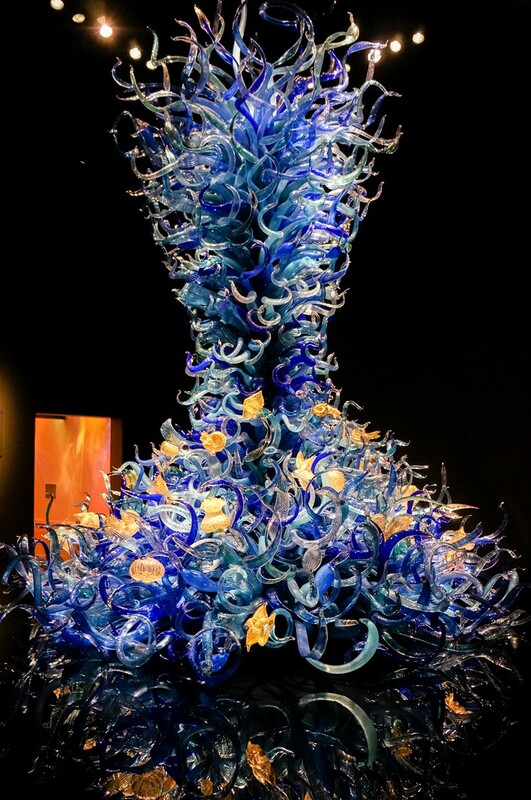 I love the Alice in Wonderland point. You are so right!